Fort Lauderdale, FL, May 10, 2016 – National Endowment for the Arts Chairman Jane Chu announced today that NSU Art Museum Fort Lauderdale is the recipient of a $25,000 Art Works award that will go toward the conservation of its historically significant collection of Cobra art produced by European avant-garde artists in response to World War II. 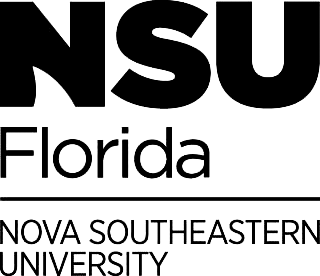 NSU Art Museum’s Art Work award is part of the NEA’s second major funding announcement for fiscal year 2016 and is among $82 million of funding for local arts projects and partnerships. The Art Works category supports the creation of work and presentation of both new and existing work, lifelong learning in the arts, and public engagement with the arts through 13 arts disciplines or fields. Cobra, a bold and vibrant art movement named for its artists’ home cities (Copenhagen, Brussels, Amsterdam), was born in reaction to the devastation of World War II and lasted from 1948 – 1951. The movement has had an important influence on the development of modern and contemporary art. Cobra artists defied the rules and sought a form of artistic expression without constraint. Study of the Cobra art movement has led to greater understanding of acts of resistance and political movements that continue to influence current events. NSU Art Museum’s Cobra Collection numbers 1,600 works and its works are frequently in demand by other museums. Works from the collection are currently featured in the exhibition War Horses: Helhesten and the Danish Avant-Garde at Denmark’s Carl-Henning Pedersen Museum through August 2016. (exhibition co-organized by NSU Art Museum). NSU Art Museum’s upcoming exhibition Human Animals: The Art of Cobra will be on view in Fort Lauderdale from July through September 2017. The exhibition opens at the University Museum of Contemporary Art, UMass Amherst, and will be on view there from September through December 2016. For additional information about NSU Art Museum Fort Lauderdale, visit nsuartmuseum.org or call 954-525-5500.